A sporty look that suits her style! 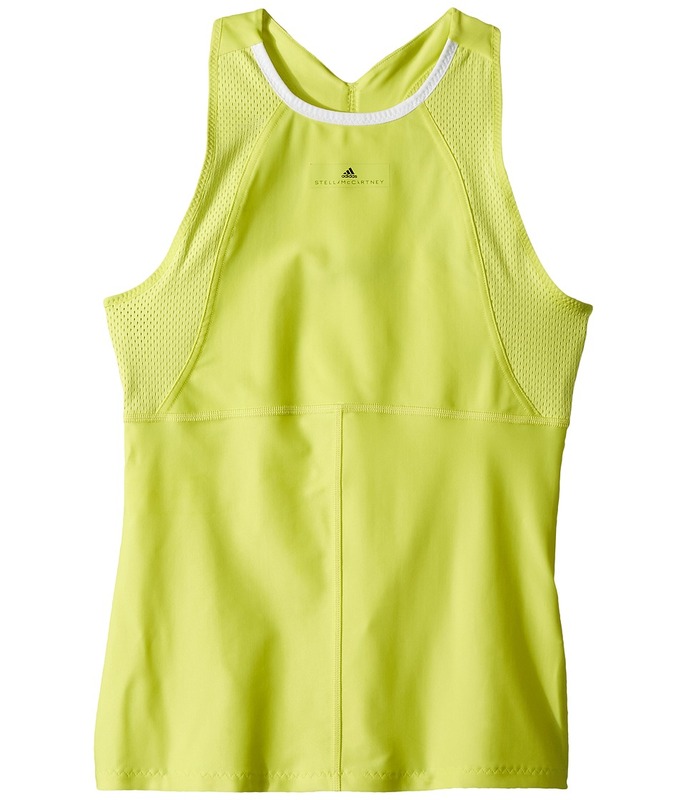 adidas Tennis apparel serves up serious style with a technical edge to keep you fresh on the court. climalite fabric pulls moisture away from the skin and pushes it towards the outer fabric face for quick-drying comfort. Bold color blocked detail along hemline with gentle pleating throughout. Elastic waistband ensures a comfortable fit. Clean look of a skirt with the convenience of a built-in short. Straight hemline. 88 percent polyester, 12 percent spandex. Machine wash, line dry. Imported. Measurements: Skirt Length: 13 in Inseam: 3 1 2 in Waist Measurement: 24 in Product measurements were taken using size LG (14 Big Kids). Please note that measurements may vary by size. Light up the court or the clubhouse with this streamlined look. 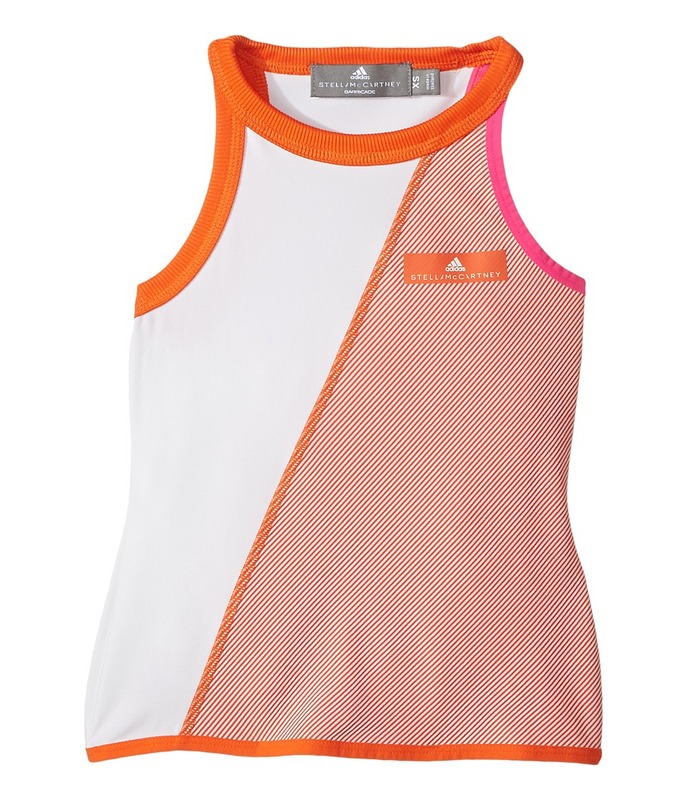 adidas Tennis apparel serves up serious style with a technical edge to keep you fresh on the court. climalite fabric pulls moisture away from the skin and pushes it towards the outer fabric face for quick-drying comfort. Slim fit has a modern cut that hugs the body while still leaving room for movement. Contrast piping along collar. Standard polo collar with zipper placket. Sleeveless cut. Ribbed hemline with slit details at front. 100 percent polyester. Machine wash, line dry. Imported. Measurements: Length: 20 in Product measurements were taken using size SM (7-8 Big Kids). Please note that measurements may vary by size. 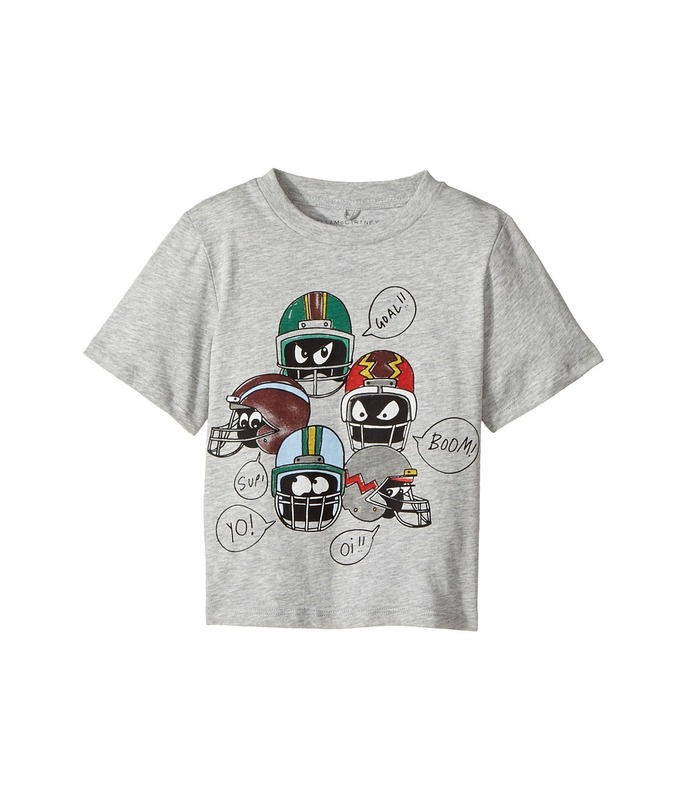 He~ll totally score in this Stella McCartney Kids Georgie Helmet Heads Long Sleeve Graphic Tee. Crew neck t-shirt. Football helmet graphic along the front. Short sleeves with straight hem. Pull on design. 100 percent cotton. Machine wash cold, tumble dry low. Imported. This item may ship with an attached security tag. Merchandise returned without the original security tag attached or a damaged tag may not qualify for a refund. Measurements: Length: 14 in Product measurements were taken using size 2T (Toddler). Please note that measurements may vary by size. 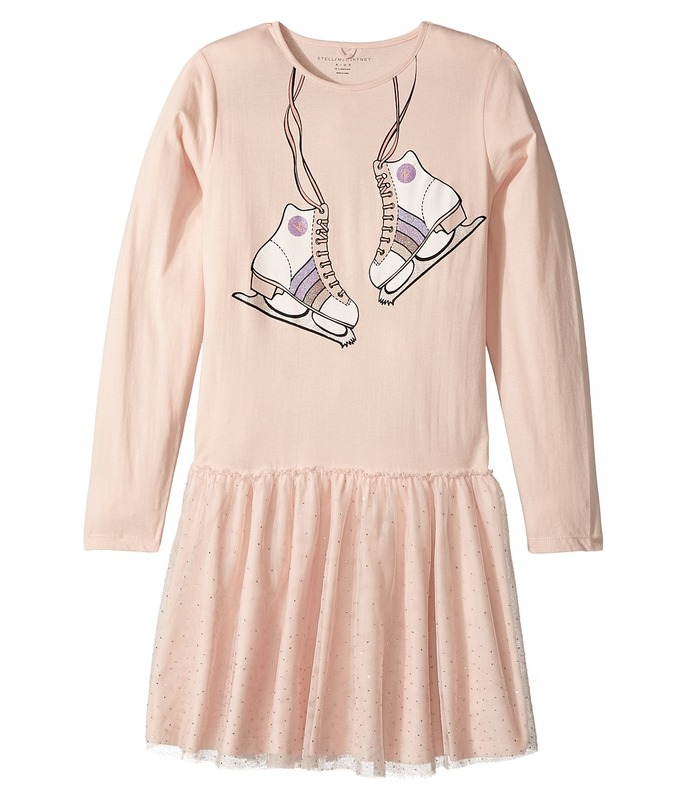 Skate right into awesome style wearing the Stella McCartney Kids Primrose Skate Printed Dress. Jewel neck, shift dress. A-line silhouette with relaxed fit bodice. Long sleeves. Hanging skates graphic along the front neckline. Gathered circle skirt with tulle overlay. Straight hemline. Top: 100 percent organic cotton. Skirt 100 percent polyester. Machine wash cold, hang dry. Imported. This item may ship with an attached security tag. Merchandise returned without the original security tag attached or a damaged tag may not qualify for a refund. Measurements: Length: 33 in Product measurements were taken using size 14 Plus (Big Kids). Please note that measurements may vary by size. 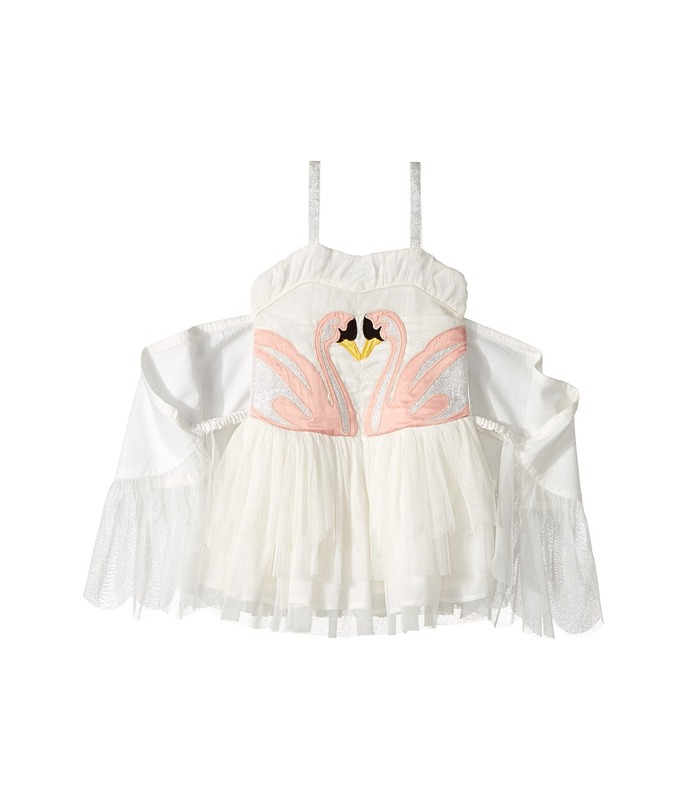 Her smile will light up a room while wearing this adorable Stella McCartney Kids Bonny Winged Swan Tulle Dress. Square neck, A-line dress. Spaghetti straps with removable wings and elastic cuffs. Floral print throughout. Elastic bodice for easy on-and-off. Shell: 100 percent cotton satin upper. Skirt: 100 percent polyester. Lining: 100 percent cotton. Machine wash cold, line dry. Imported. This item may ship with an attached security tag. Merchandise returned without the original security tag attached or a damaged tag may not qualify for a refund. Measurements: Length: 16 in Product measurements were taken using size 6 (Little Kids). Please note that measurements may vary by size. She~ll shimmer and shine everywhere in the adorable Stella McCartney Kids Misty Rhinestone Embellished Tulle Dress. Jewel neck, shift dress. Relaxed fit, A-line silhouette with tulle overlay. Tiny sparkles adorn tulle to create shimmer effect. Long sleeves. Keyhole back with button closure. Straight hemline. Shell: 100 percent polyester. Lining: 100 percent cotton. Machine wash cold, line dry. Imported. This item may ship with an attached security tag. Merchandise returned without the original security tag attached or a damaged tag may not qualify for a refund. Measurements: Length: 32 in Product measurements were taken using size 12 (Big Kids). Please note that measurements may vary by size. She~ll be living in a dream world wearing the Stella McCartney kids Hepsie Rainbow and Swan Jersey Dress. 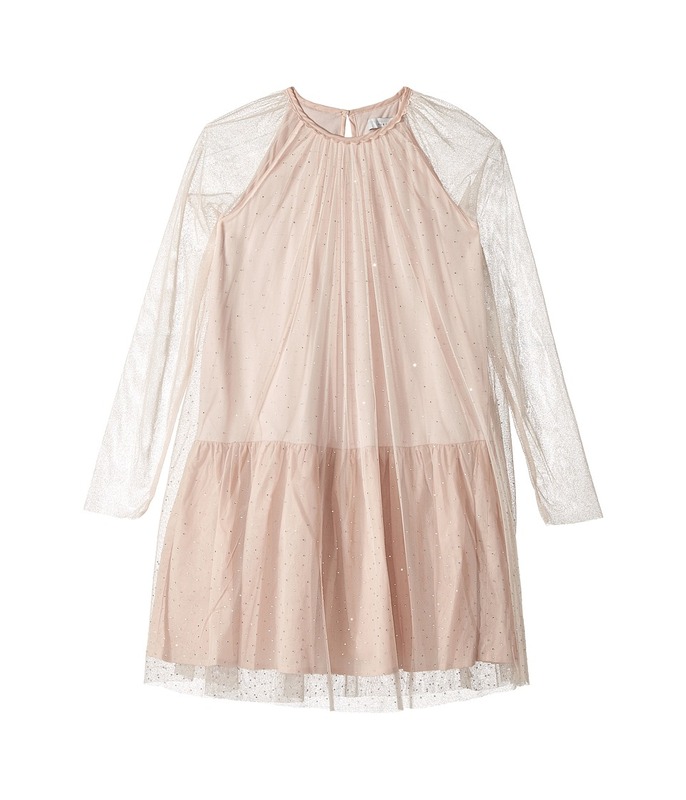 Jewel neck, shift dress. Half, rolled sleeves. 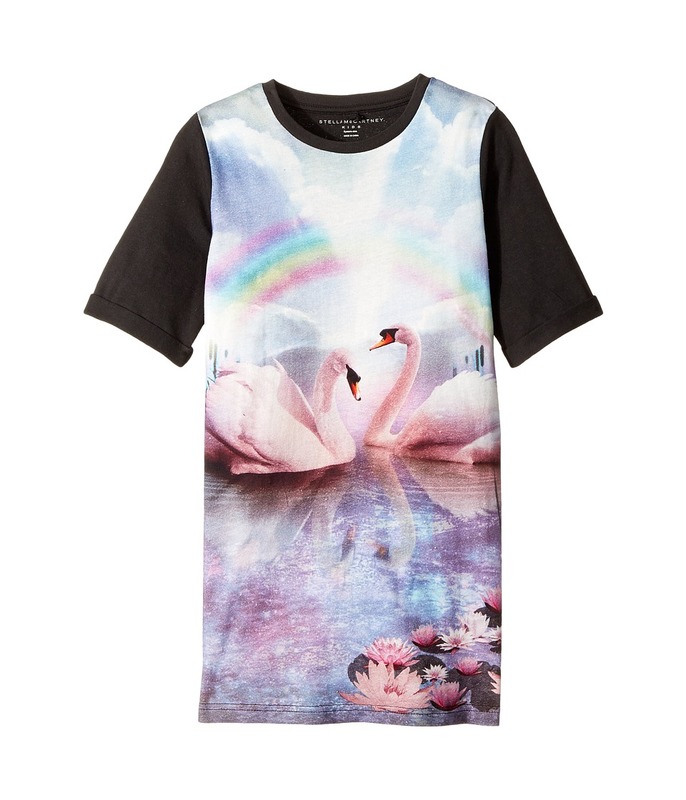 Rainbow swan graphic on front. Straight hemline. 100 percent cotton. Machine wash cold, tumble dry low. Imported. This item may ship with an attached security tag. Merchandise returned without the original security tag attached or a damaged tag may not qualify for a refund. Measurements: Length: 24 1 2 in Product measurements were taken using size 8 (Big Kids). Please note that measurements may vary by size. 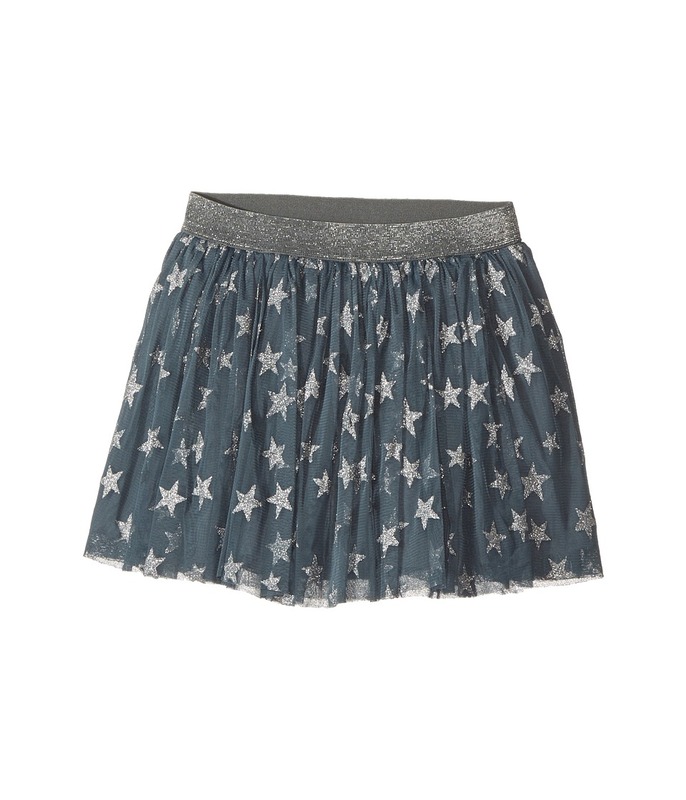 Keep her spirit whimsical in this adorable Stella McCartney Honey Glittered Star Tulle Skirt. Elastic waist with glitter trim. Tulle overlay with star print throughout. Gathered tulle at the waist. 100 percent polyester. Lining: 100 percent cotton. Machine wash cold, tumble dry low. Imported. This item may ship with an attached security tag. Merchandise returned without the original security tag attached or a damaged tag may not qualify for a refund. Measurements: Skirt Length: 11 in Waist Measurement: 19 in Product measurements were taken using size 8 (Big Kids). Please note that measurements may vary by size.